Then what is the olive oil connection? The story of diseased heart arteries starts a few decades before the interventionalcardiologist is called upon to perform any procedures. What starts the artery disease is usually either smoking or an abnormal metabolism. 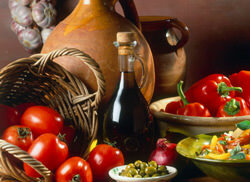 It is the abnormal metabolism that leads to heart disease than can be significantly affected by olive oil. 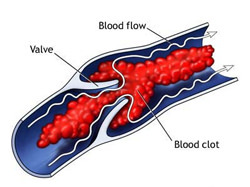 What is truly dramatic is the time line of clot formation (“thrombosis”): it takes between one and four minutes for a clot to form inside the artery and transform a previously stable plaque that was causing little or no narrowing of the artery lumen to now become 100% occlusive. 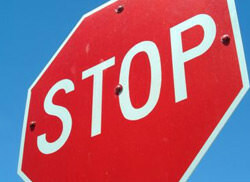 This stops the flow of blood and the nourishment of the heart or brain cells that depend on that artery abruptly ceases. The cells, then, start dying fast, resulting in a heart attack, a stroke, or sudden death. The Metabolic Syndrome is a combination of abdominal obesity (also called “visceral obesity”, “central obesity”, “apple-shape” body, or “beer belly”) along with abnormal cholesterol, abnormal sugar metabolism (pre-diabetes or type 2 diabetes), and high blood pressure (“hypertension”). It is sedentary lifestyle and an unhealthy diet that lead to metabolic syndrome. A healthy diet, on the other hand, along with regular and adequate exercise, helps prevent or, at least, attenuate, the metabolic syndrome and atherothrombosis (heart attacks and strokes). 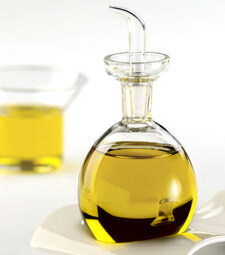 Three quarters of olive oil consists of MUFAs (mainly oleic acid) with the rest almost equally divided between PUFAs and saturated fats.